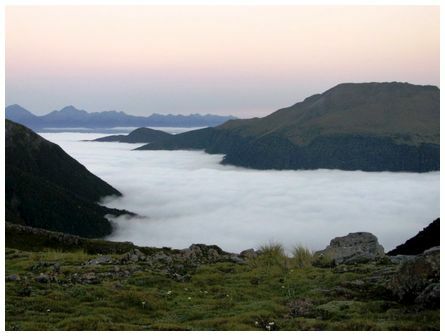 'Cloud inversion around the Four Peaks Range, Canterbury. 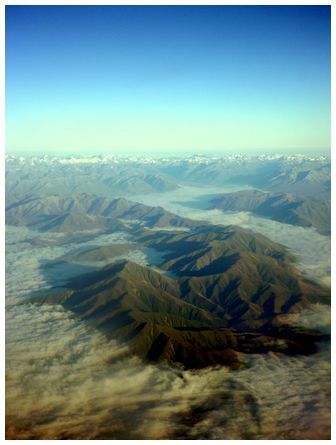 Photo taken from the Wellington-Queenstown flight at 09:00 on 8 February 2013' wrote Alice. 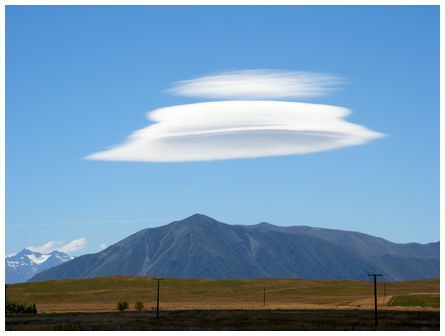 Susanna wrote 'taken on new Panasonic Lumix DMC TZ-30 from Lake Tekapo township looking to the south west on 23 January 2013. 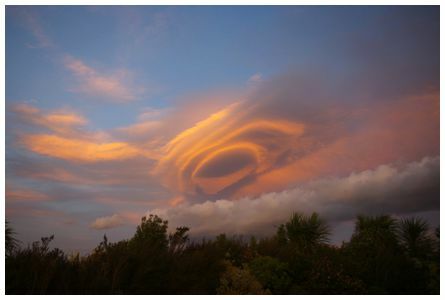 There had been a strong nor wester all day, calmed about 20:45 then the whole Mackenzie Basin was bathed in a golden pink light from 21:00. Darrell's photo was taken on 1 January 2013 toward the Northwest in the early evening, with a Pentax Kx f4 at 1/20 sec 200 iso. 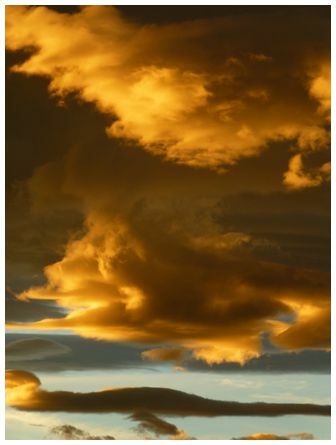 'Lenticular clouds ahead of the front at 17:00 on 22 January 2013. A decent westerly was blowing, which completely died down a few hours later and the sky became perfectly clear again. 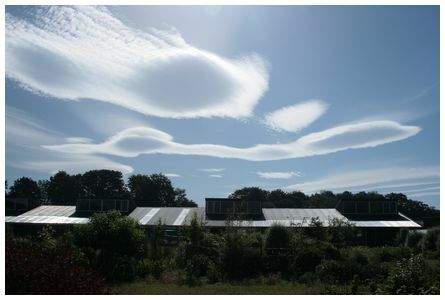 Taken looking west over the roofs of the old Tuatapere Primary School, now a native plant nursery. Canon EOS, 1/250 F6.3' wrote Diana. 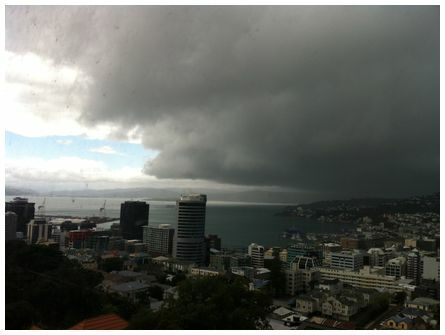 Southerly front arriving over Wellington Harbour on 17 January 2013.